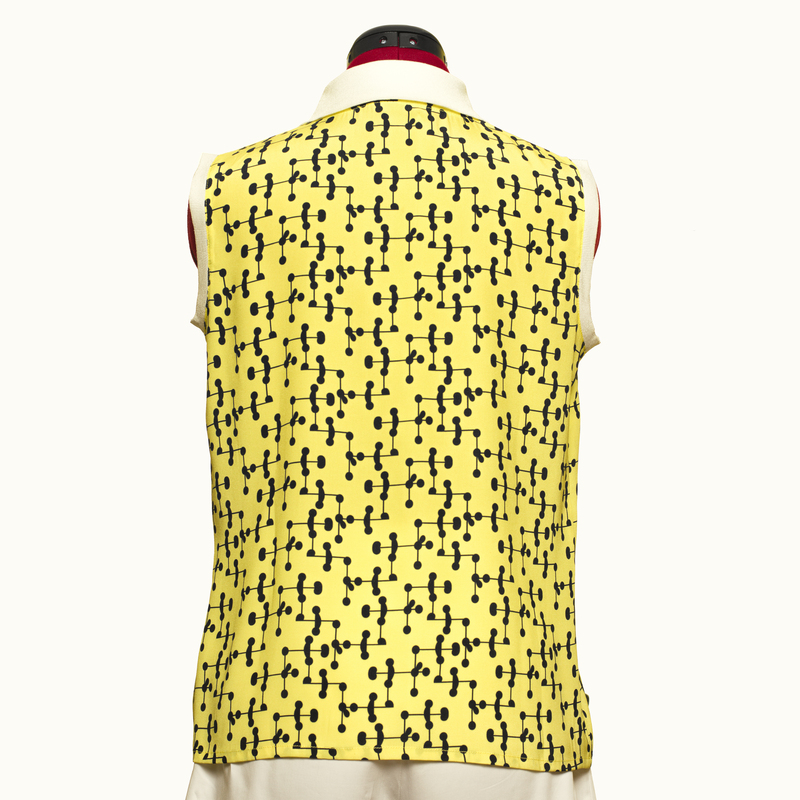 Add a distinctive edge to your personality in this sleeveless top inspired by the polo pattern, which lends a casual and distinctive touch to this piece. 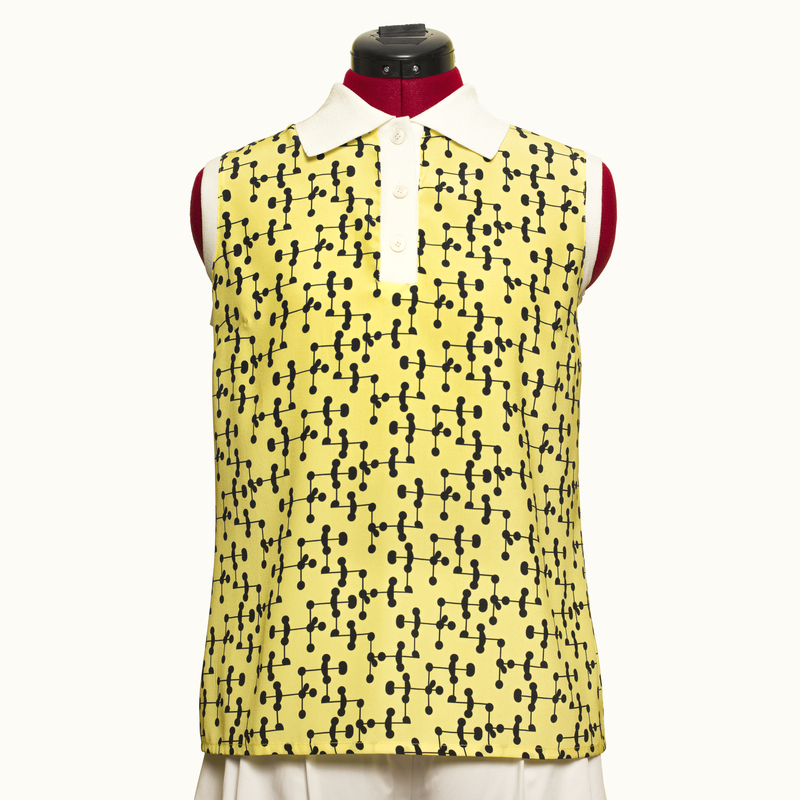 The polo neck with buttons on the front gives a stylish look to this garment. The LIMONATA print is an original and exclusive design by Alba LAZARÍ. Polo neck, front opening with three buttons.